Here in the north west of England, we struggle to find any knitting and crafting events to go to, so a few months ago, my good friend Helen and I, decided to put on a little event of our own, called Make, Do and Knit. 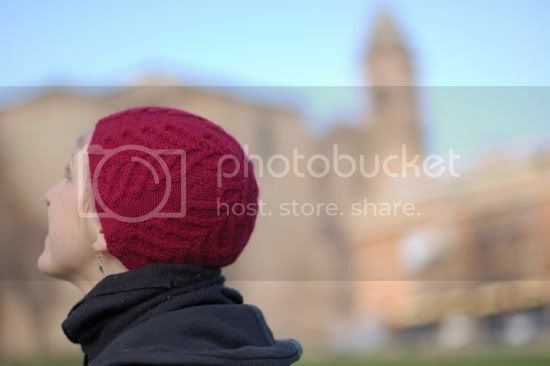 Its taking place at the Bluecoat School in Wavertree, Liverpool, which is a grade II listed building. I will be there signing books and also coordinating the fashion shows which along with garments from A Stitch in Time and Vintage Gifts to Knit will be the first glimpse of some of the garments from A Stitch in Time II. This is really exciting for me as I haven't had the chance as yet to see these garments styled or 'alive'. 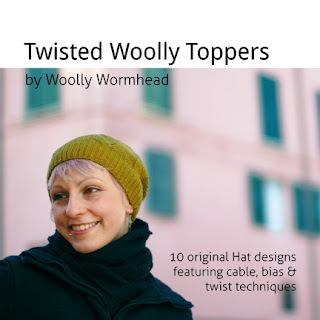 There are lots of other exciting things happening, including my lovely friend Woolly Wormhead travelling over from Italy for the launch of her new book Twisted Woolly Toppers and also, and most importantly, lovely things to buy from some of my favourite vendors. There's a full list of stalls and further information on the Make, Do and Knit website. We've also got a twitter account @makedoandknit if you want to be kept informed with goings on. I hope to see some of you there. Do come and say hello won't you? Some Designing and looking forward ... for a change! Before I begin this post properly I just need to thank everyone once again for their words of support. You have no idea how much they have helped me keep going - even today when we're still waiting for our money and a nasty man knocked on the door demanding it! We have just returned from a lovely weekend at the Unravel event in Farnham, Surrey where I gave a talk about "Fashion in the Ration" on each of the two days and in return had a little stand selling our wares. It was lovely to see old and new friends and to discuss some plans for the future - the gossip from the show for my next post! 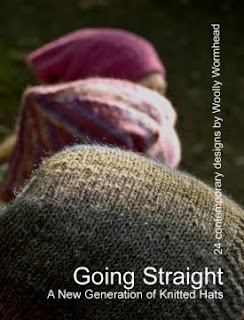 A pattern that is available right now is one I was working on several months ago for The Knitter. Its a very funny experience finishing a design and then sending it off in the post, and then months later its suddenly out there without your involvement. So let me introduce "Mitford". I had been reading about the Mitford Sisters when I was last submitting designs to The Knitter and my head was buzzing with the thought of those glamorous, hedonistic days of the early thirties, with willowy, long limbed, bobbed haired 'gells' charging round the countryside to one party after another in the latest motor car. I had seen examples of these marvellous, voluminous sleeves on many garments of the period and wanted to interpret them into a hand knitted design. 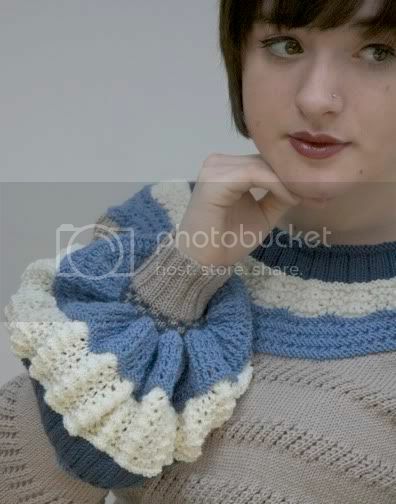 The design of the sleeves proved quite a challenge but after a number of attempts I finally got the look I was after. The volume is created by working increases very rapidly over only a limited number of rows and predominantly at the 'front' of the sleeve so the outside part - away from the body - is the fullest. It then decreases more slowly from one textured section to the next until down to the normal required sleeve width. The body length is short and to be worn to the waist. I have worked the body in one piece to the underarm - not common practice in 1930s written patterns, but makes much more sense here with the main body pattern twisting around the torso. 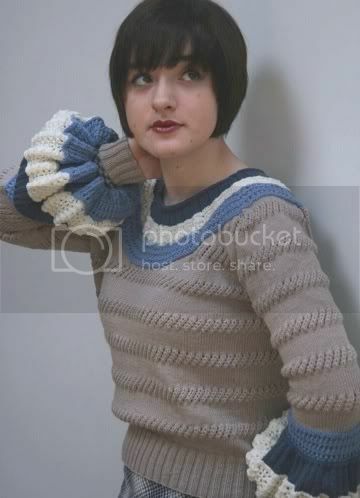 The body is divided at the underarm and then raglan and yoke shaping worked back and forth on the two body pieces. Once that is completed the sleeves are worked. The slightly unusual construction continues with the raglans of the sleeve and body being sewn together at this point and then stitches picked up round the curved neckline and the textured yoke is then worked. It was quite a complicated design to produce but I think would make a very interesting knit. 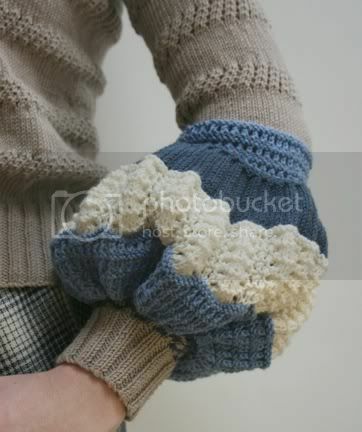 At some point I would really like to knit one of these for myself! 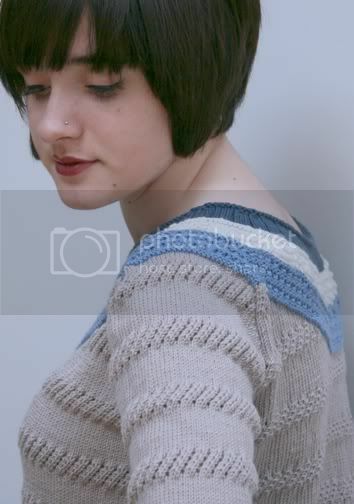 The sample garment was knitted in Sublime Extra fine merino 4 ply which was a perfect yarn for this design with a clear, neat, defined stitch detail which showed particularly well on the stocking stitch panels of the body. 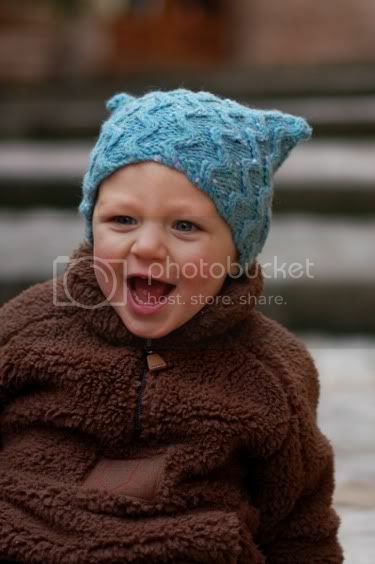 The pattern is exclusive to The Knitter for six months.